Something Delightful : iPhone 6 Plus: Thoughts, Cases, Wallpaper, Etc. iPhone 6 Plus: Thoughts, Cases, Wallpaper, Etc. Hello! Hope y'all are having a great week so far. Today I'm going to be doing some iPhone chatting. Well, I did it. It finally came time for a long awaited phone upgrade. I went from an iPhone 4 to an iPhone 6 Plus. It took my eyes a bit to get used to the drastic transition in the size difference (seriously haha), but I loveee this phone. I thought I would choose the iPhone 6 since I had only heard how large the 6 Plus is, but after playing with them (and seeing the difference in the camera quality), I decided on the Plus. I am so pleased with it. It does remind me more of an iPad mini, but I personally like that. I was also a little worried about the selection of iPhone 6 Plus cases. There are so many cute options, though! I went to Best Buy since I knew they have Kate Spade. I decided on the Isaac Mizrahi case (pictured above). 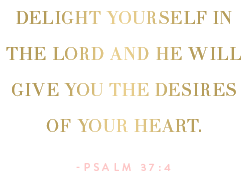 I also love the idea of a clear case like this one, since the back of the phone is pretty and gold. Okay, now to the wallpaper apps I'm obsessed with. As my friend, Jaclyn says, a new lock screen can make your phone feel brand new by giving it a different look (see more on her blog post). I also attempt to match my lock screen to the case I have on my phone. So the two apps I'm loving for creating monogrammed lock screens are Monogram It and Monogram. I definitely love Monogram more than Monogram It better because of the numerous Lilly and Vineyard Vines options. And the fact that you can use glitter to create your monogram. But here's why I like having both apps. See the flamingo one I put together? The mingo wallpaper came from the Monogram It app. 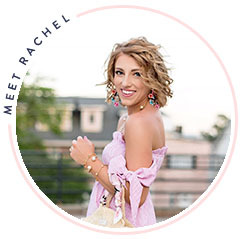 You can save it to your phone then go to the Monogram app, upload it to that app, and monogram it with the cuter monogram options (like glitter) on Monogram. It just gives you more options :) I love both of these apps, though! Have you ever tried out these apps? What are some of your favorite apps on your phone right now? P.S. I just have to say a big Happy Birthday wish to my best friend, my Mama! I love you so much and hope your day is amazing and special, like you. Love the case you picked! So glad you enjoyed my wallpaper wednesday post! Those cases are too cute!! I'm okay with 5S for now but I had an older version forever and it definitely feels different when you upgrade :) Enjoy!! Love your wallpaper and phone case picks! I have a 5S but my case is starting to fall apart. 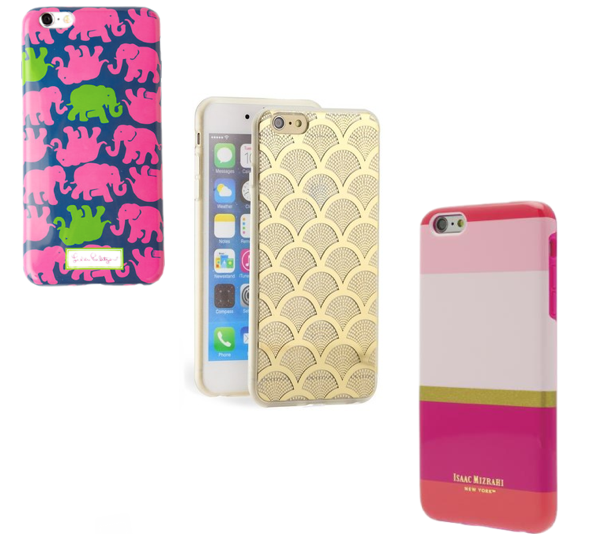 I have been looking at buying the Kate Spade "Le Pavilion" case, but I love that Sonix "Gold Lace" one you've shared! Also, happy birthday to your mom! 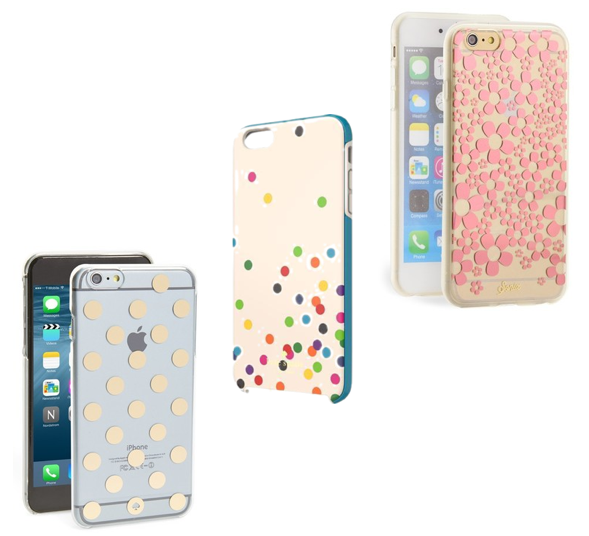 I got the gold polka dot one from Kate spade and it broke so easily!! I have the Monogram app & I love it, I spend probably way too much time on it making pretty backgrounds! I have the 6 plus as well! It has been such a struggle for me find cute but sturdy cases. Thank you so much for this post! I love your products. I am very happy to visit this blog.